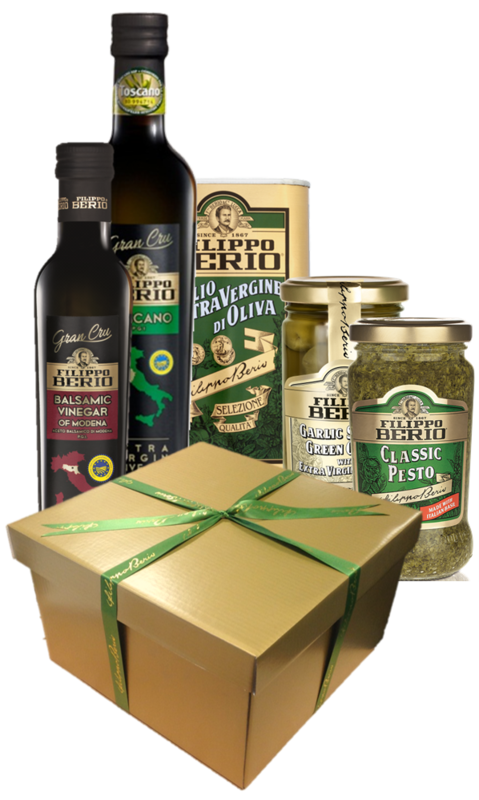 Send the gift of Filippo Berio with the new and exclusive Filippo Berio hamper – packed full of delicious Filippo Berio goodies! Inside is a delicious selection of your favourite Filippo Berio products, including a bottle of Gran Cru Italian regional Extra Virgin Olive Oils, a Gran Cru luxury Balsamic Vinegar of Modena, a Limited Edition Commemorative Tin, 2 jars of our premium Olives, 2 jars of our delicious Pesto and a branded Filippo Berio Oven Glove and Apron. The standard hamper is only £35 and includes free shipping!